The balloting begins for the 21st annual poll. 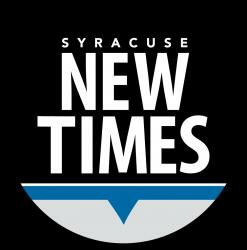 The Syracuse New Times inaugurated its Best of Syracuse poll in 1997, asking readers to select their favorites in a wide range of categories. For the 21st annual event, we’re again asking readers to choose from more than 110 categories covering food, arts, media, services and more. The initial ballot of more than 110 categories is still fairly hefty, which is where readers can help us whittle down to a more manageable number. Make no mistake that area businesses are highly pleased whenever they are named the Best of Syracuse. The awards are presented with pride for everyone to see; check out the awards wall as you dine at Strong Hearts Café, 719 E. Genesee St., or while ordering a hot fudge sundae at Gannon’s Isle, 1525 Valley Drive. There’s plenty to admire about our neck of the woods, and the Best of Syracuse poll offers readers a chance to salute their favorites. So put your best foot forward and help us select the best of Central New York’s bounty. Nominate now until Wednesday, Aug. 9! Nominations have ended. Thank you to all who participated, and please visit syracusenewtimes.com on Aug. 23 for the voting portion of Best of Syracuse!